Your browser does not support HTML videos. Explore some of the highpoints that the Town of Okotoks has to offer. Whether you're here for the outdoors, the tranquility, or the boutique shopping and restaurants, Okotoks truly has something for everyone. With close to 100 parks and over 85kms in trails, Okotoks' visitors can count on 330 days of sunshine each year to enjoy the outdoors. What’s in the cards for your next getaway? Whether it’s a shopping spree or a spa day, the sky is the limit for your next 48 hours in Okotoks. With so much to do in and around Okotoks, why not extend your visit into a weekend, long weekend or even longer! We have charming accommodation options to suit any type of visitor on any type of budget. Ever wonder if you’re missing out on a delicious restaurant that you just aren’t aware of yet? Okotoks has a wide variety of dining establishments that are just waiting for you to come and try out. Find the most popular activities, events, attractions and things to do in Okotoks. Nestled between the fantastic foothills and majestic Rocky Mountains with the splendid Sheep River at its heart, you will experience outdoor adventure, vibrant arts & culture, boutique shopping, exceptional dining and so much more! Right here, right now! Share your Okotoks adventures on Instagram using the hashtag above. Check out more things to do in Okotoks and our surrounding Cool Little Towns by clicking below. 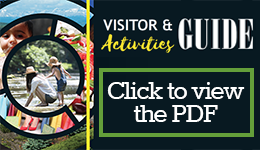 You can download your own copy of our 2017 Visitor & Activities Guide, or plan your day or weekend trip with the Cool Little Towns itineraries.